*********************FC BARCELONA OFFICIAL PRODUCT*********************FC Barcelona, the Barça Toons and you are the stars of the game! 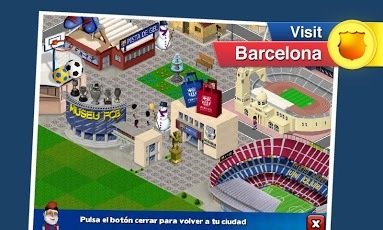 ¡Create and manage the ideal city for the Barça Toons with FCB Toons Town! Gather all the citizen and sportive conditions so that a fantastic football team can live and grow up: The FC Barcelona! And make it become the best team in the world! Get ready to build homes, businesses, leisure centers, touristic lodgings, famous buildings…and the most important thing: The sportive city of Barça to train the Barça Toons and help them win many matches! FCB Toons Town gives you a model town: Barcelona, and the best animated team in the world: The Barça Toons! * Interact with the “Toon” versión of your idols: the FC Barcelona players! * Complete missions and achieve daily challenges to make your town the best home for the Barça Toons! * Many visitants will want to live in your town. Provide them a house and a job! * ¡Get inspired! Visit Barcelona and discover all the secrets hidden in its buildings! 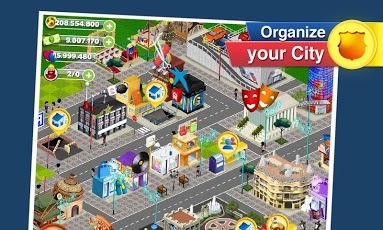 * Interact with friends, visit their towns and get a better reputation! * Train the Barça Toons and help them win all the matches! 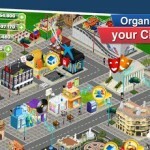 * Play minigames and win prizes that will take you town to the top of the ranking! 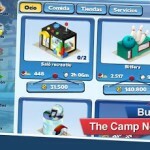 * ¡Level up and unlock fantastic buildings and decoration for your town! * Let your friends know that you have the best town and football team! Periodical updates will be available and will include new characters, buildings, missions, minigames… and much more! PLEASE NOTE! 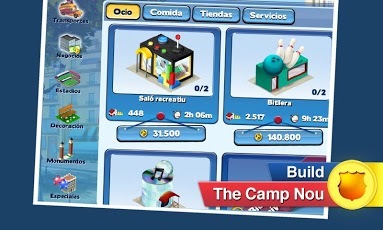 FCB Toons Town is free to play, but you can enrich your experience by purchasing some game items with real Money. If you don’t wan’t to use this feature, please disable in-app purchases in your device’s settings.